I don’t ride the subway that often, so it was a little surprise that when I went to refill my Metrocard, the machine said that it was about to expire and couldn’t be refilled. Used to be they didn’t expire. The machine gave me the option of replacing my card, which I did. It gave me back my old one, then gave me a new one I could put money on. I filled the new one and threw the old one away. This is really ridiculous. 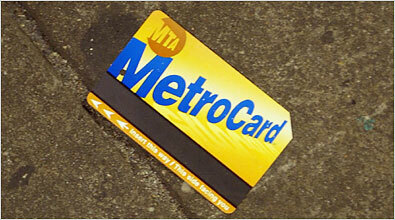 One of the benefits of the Metrocard is that it is refillable, therefore you use less of them, and fewer end up in the trash (or on the floor of the subway station, more often.) But here they just gave me a new one and forced me to throw the old one away, when the simpler option was to just add more time to the old card. It would have saved the use of a new card and kept the old one out of the landfill. What’s up with that, NYC? Huh?